Willing to brave the traffic for an unforgettable Holy Week? With Holy Week right around the corner, chances are you have your long weekend plans already in place. But the thing to remember is that the holiday isn’t just about getting a break from work or the daily routine of your life. Whether you practice or you don’t, it’s always a good experience to remember why we celebrate Maundy Thursday, Good Friday, Black Saturday and Easter Sunday. But because it is still a time to unwind, why not take a little road trip away from the city? Sure, the traffic might be daunting, but there are ways to make even the traffic jam a little bit more fun. Also known as Kawit Church, construction for the St. Mary Magdalene Church officially began in 1737 and it was last restored in 1990. Emilio Aguinaldo was baptized in the same church, which actually holds his birth certificate on the left side of the altar. Known for its healing and resolution to personal problems, a trip to Cavite is a not-too-long ride away from Manila, making it perfect for a day trip outside the city. But what most patrons visit the church for is the St. Mary Magdalene Statue, described as a miraculous life-size image of Mary Magdalene. The statue hosts a mark in the middle of her forehead, of which the root cause is a still mystery. However, it is said that the mark is a symbolic mark of Jesus’ fingertip during his resurrection and appearance to her. Definitely one of the more popular churches to visit is Our Lady of Manaoag in Pangasinan—and for good reason; it’s a Minor Basilica, after all. The ivory image of the Blessed Virgin Mary bears its tittle dates that go back to the 16th century, which is hailed as a patroness of the sick, helpless and needy. Documents on the statue attest that a middle-aged farmer was walking home when he looked around and saw an apparition of the Virgin Mary. She was holding a rosary in her right hand and the child Jesus on her left arm. She then told the farmer where she wanted her church to be built. Founded by Augustinian Missionaries, the Barasoain Church was originally built in the 1600s and has been hailed as the Cradle of Democracy in the East and the most religious building in the Philippines. You might remember its façade from the back of the old ten-peso bills from years ago. When Emilio Aguinaldo transferred the capital of the Revolutionary Government from Cavite to Malolos, the Barasoain Church became the gathering place for anti-oppressors. Later on, it became the site for the ratification of the Malolos Congress and was where Aguinaldo was inaugurated as the first president of the Philippine Republic. 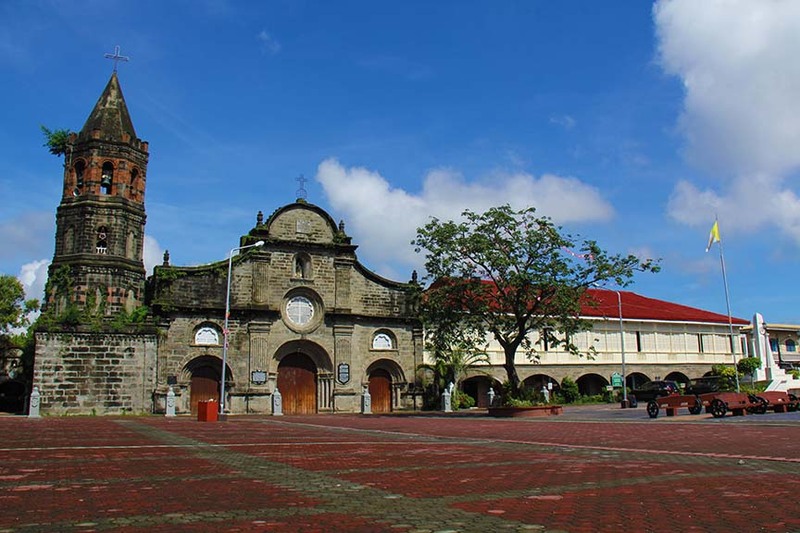 More commonly known as Calasiao Church, Saints Peter and Paul Parish Church has been declared as a National Cultural Treasure by the National Museum of the Philippines and the National Commission for Culture and the Arts. It took a while to complete the building of Calasiao Church, as it was worked on through several stages from the 17th to 19th centuries—and it went through a lot during that time. In 1763, it was burned by a Filipino rebel and was again destroyed in 1841, 1852 and 1892. Spanning 88.6 meters high and 48 meters wide, the Taal Basilica is considered the largest church in the Philippines and in Asia. The original church began construction in 1575, three years after Taal was first founded. Meanwhile, it was officially made into a Minor Basilica in 1954. The present state of the church was constructed in 1856 and underwent succeeding restorations in 1953, 1972 and 2011.